Why Gilbert's Alternate Contact Number Data Append Service? Our Data Appending Services give better access to target the audience of any industry and any location. Get your desired business list from Gilbert data. Build high-quality email or phone contact list with the high level Executives and Administrators of all businesses. Our Email lists are frequently updated through Tele-verification. We do <1.5 million verification calls per month for removing incorrect data. We Help You To Get High Quality Business Leads With Our Alternate Contact Number Data Append Services. How Alternate Contact Number Appending Service From Gilbert Data Boost Your Business? Gilbert Data can boost your client database by appending key business data components that will expand your business intelligence and marketing performance. In addition, we can affix contact info within several communication channels which leads to superior retention and the capability to find duplicate leads on outside lists. 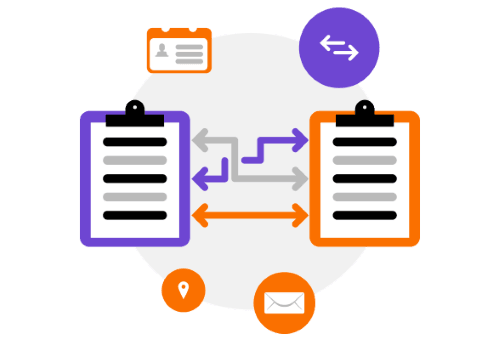 Our Data appending services will carry all your data together, from numerous sources all across the web. The data is then matched and evaluated with our internal record. By having an enhanced understanding of your clients and opportunity, you will be sure that you are directing the exact messages to the correct targets, as well as saving money on unsuccessful campaigns. This will lead to increased response rates and an enhanced profit on the venture from our Data Appending Services.